I’m getting in the Burns day spirit with today’s sketch as I have just booked a table at The Scotsman Hotel for their Burns Night Supper. The menu by head chef Paul Hart sounds delicious and I’m looking forward to raising a glass to the baird in the traditional way with haggis, neeps and tatties!! 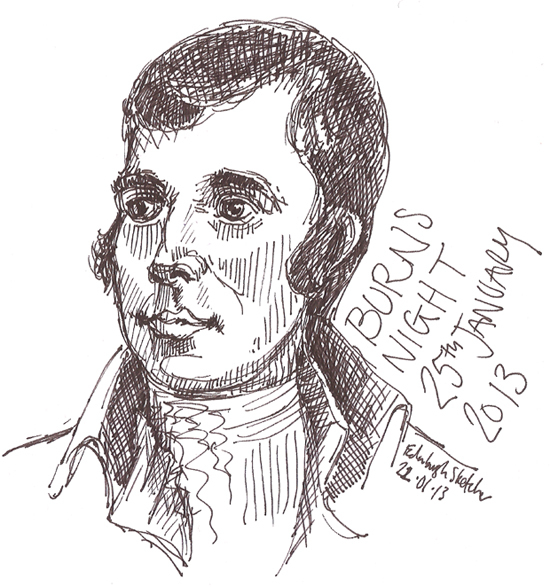 Where will you be having your Burns Night Supper? Click HERE to see the Scotsman Hotel’s Burns Night Supper menu and book your table.